I am wondering if this could be a solution to the workflow I need. 1. A customer purchases a service, fills out the form, and uploads their photos. 2. Upon successful payment and upload of the photos two autoresponder emails are sent out. One to them confirming their order, and the second and most importantly an autoresponder email to my editing staff telling them they have a new job to complete, AND it has a respond feature (it looks like this is the advanced features explained above) to upload and send back the finished photos. 3. My editing staff can download the photos uploaded from the customer, edit them, and then return them using the form in the initial autoresponder email with the upload feature. Will this work? If so, is there also a way for my editing team to check a box on the form to return the edited photos that will somehow mark the job as complete? I think it would be possible to implement the workflow you have shared. 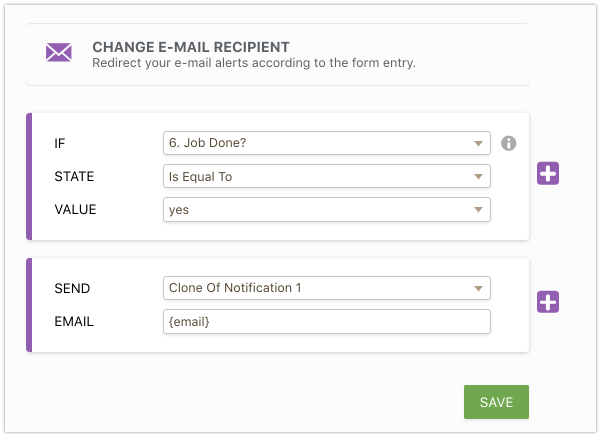 Forms can send emails conditionally as well as show specific fields if submission is edited by your team. You could use those features to show a field for edit team to mark if the job is done. If that field is marked, email will be sent out to a client. 2. Email sent to your team would also include a link to edit user's submission. The team could do that to mark 'job done' field and to upload edited photos. After this is done, another email would be sent to deliver images to your customer. We will gladly help to built this form if you will face difficulties. Thank you for your response. 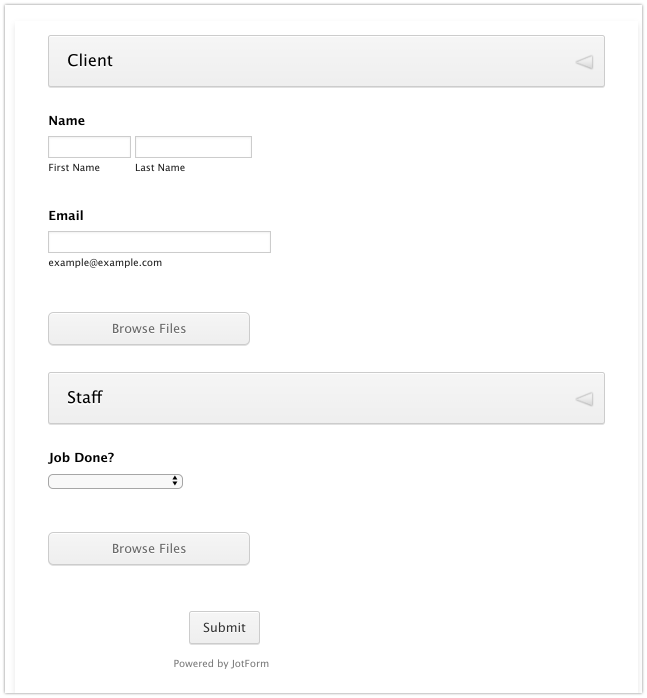 In your example would the client see the "staff" portion of the form? Or would I be able to make that only viewable to the staff only? Hi there, I am having trouble building this form. How to I start the process of getting help to build it? 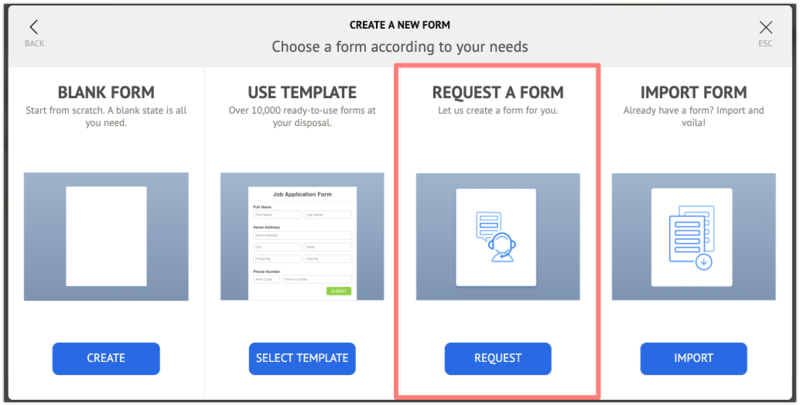 Also, there is an option to request a form when you click 'Create Form' button. But, we will not be able to provide any time frame on when the form will be ready.